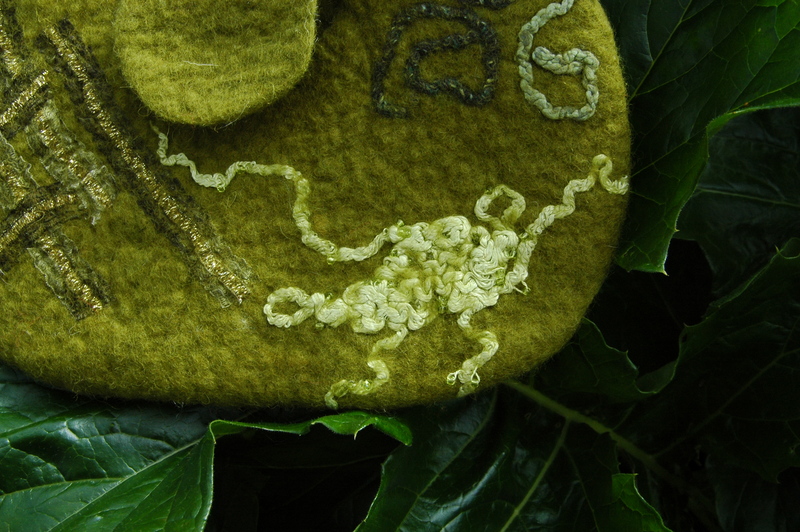 This entry was posted in Felt and tagged bag, beaded silk, clutch, cotton, Felt, felt bag, felt clutch, felted clutch, Felting, freestyle, green, Jane Thornley, knitting, Lousia Harding, sari ribbon, silk, Tilli Tomas, wet felt bag, wet fetl by Nicola. Bookmark the permalink. Once again, I love, love love this! Wish we had time to do something that complex while I’m there…maybe someday! Aloha Nicola!!! Just a quick minute…Internet usage is expensive here, but just couldn’t resist saying hi and commenting on how lovely your bag is. I’ve thought about using beaded yarns as inclusions and your results are beautiful…Will have to give this a try.